What’s the best camera for safari? It’s likely one of the first questions every traveler coming to Africa asks after booking a safari. Having a decent camera for safari is on the top of our recommendation list. 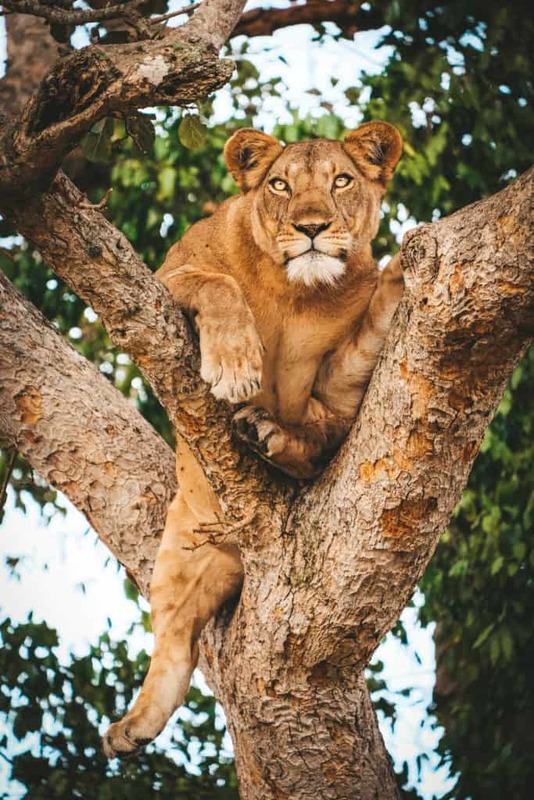 While it’s not a necessity and we’re big believers in making sure to put the camera down and actually save some photos in your memory there is a thrill in grabbing that perfect safari photo. It’s also a sure way to share your wildlife experiences with friends and family back at home. There are a number of aspects to consider when looking for the best safari camera possible. This post is not meant for professional photographers. 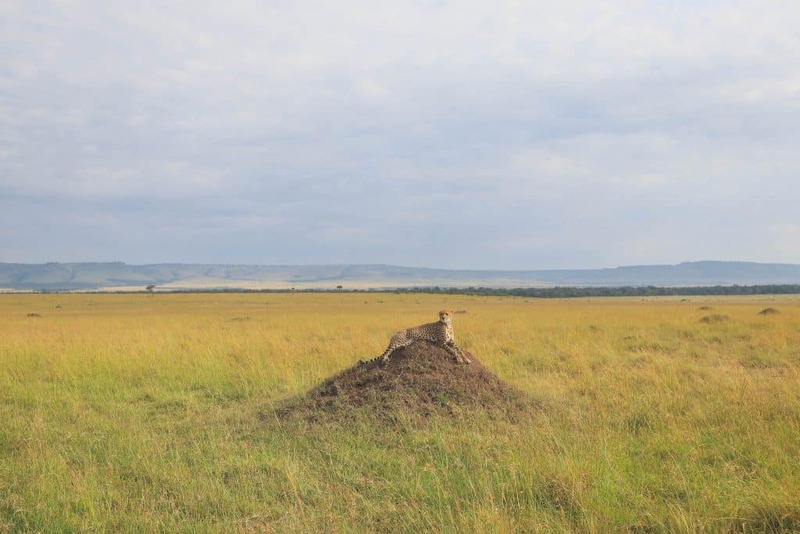 If you’re likely at that level you have your own idea of what the perfect safari camera is for you. 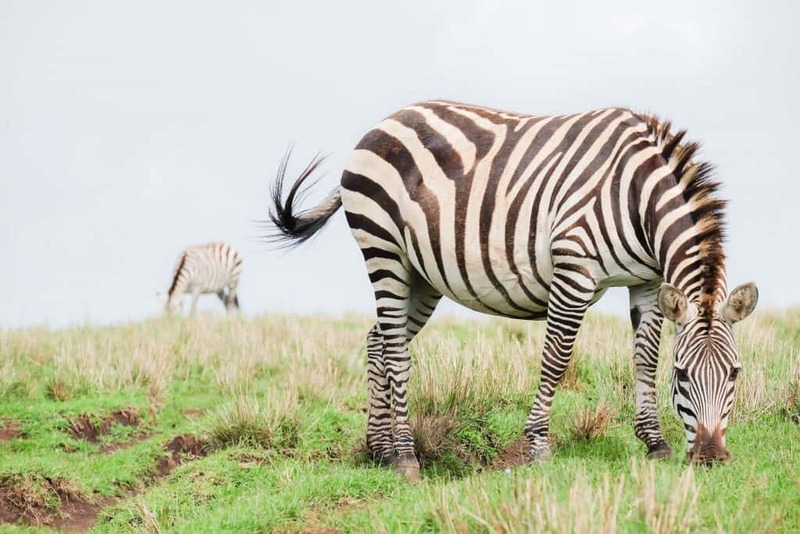 There are several criteria that make a great camera for safari. A lot also depends on the cameras intended use. Not everyone is in it for the photos and not everyone wants the same kind of photos. 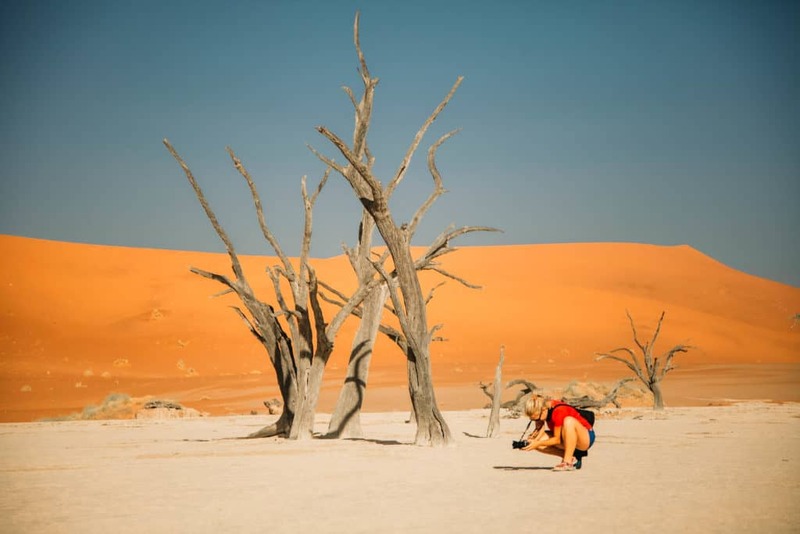 There is no clear-cut answer here for what the best camera is for safari, but there is the best camera for a specific person. This one is an obvious criterion. Not everyone has the budget to spend thousands of dollars on a camera, nor should they. There is no point in spending lots of money on something that will just collect dust or confound the user. There is also that best bang for buck aspect. While a high-end professional camera goes for lots of money the escalation of price makes pointless for anyone, but a professional. Even some professionals see the additional cost as a waste! This is a very important aspect for many. It refers to how quickly a camera can shoot a burst of photos. 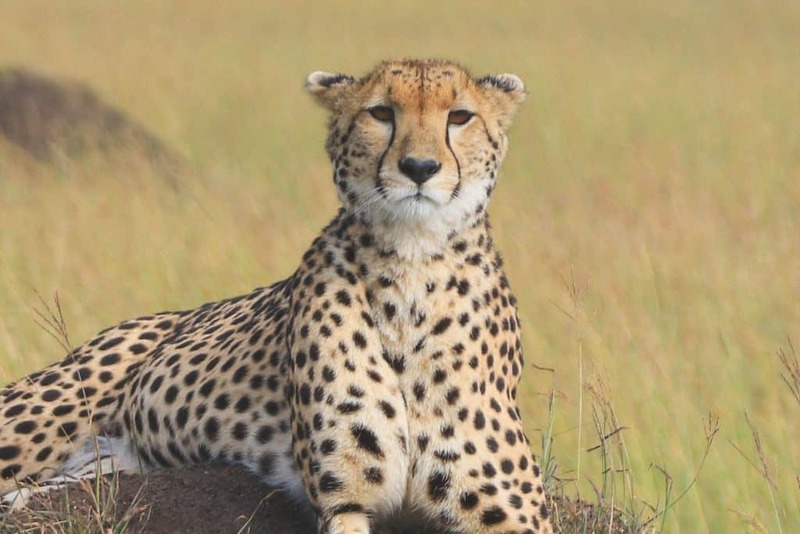 With fast moving subjects on safari, you’ll want to capture that perfect moment. This may require a burst and a fast fps. This refers to how many photos the camera can take in the period of one second. This is not the most important aspect it something to consider when comparing similar cameras. The sensor refers to the light-sensitive chip in every digital camera that interprets how light is perceived to create a digital image. Sensors come in a variety of shapes and sizes and have the most direct impact on image quality. When it comes to wildlife photography every inch counts. This is why I’ve chosen to pick only cropped sensors that will give an added boost to any lens. All lenses are measured mathematically for a full frame sensor – the same size as a 35mm film camera. So, when cameras employ a smaller sensor this results in a cropped effect on lens focal length. This means 100mm on a Canon 80D is really the focal length of a 160mm lens. The lens is the most important aspect when shooting wildlife photography. 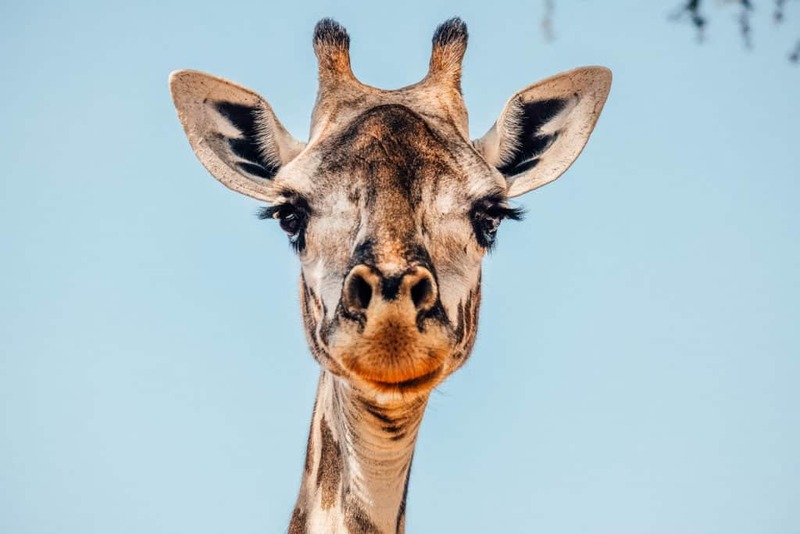 You can have the best camera money can buy, but if you have a wide-angle lens you aren’t going to get those stellar close-up wildlife shots. Many cameras opt for interchangeable lenses which allow for a wide range of focal lengths to get wide landscape shots and tight close-ups. When shooting wildlife the far-reaching lens, or zoom is important. Lens distance is referred to as focal length. Focal length is measured in millimeters with a short focal length (<5omm) creating a wide-angle image and a long focal length (135mm<) creating a tight/zoomed image. The two images above were taken from the same distance. The African bush can be brutal on just about everything. 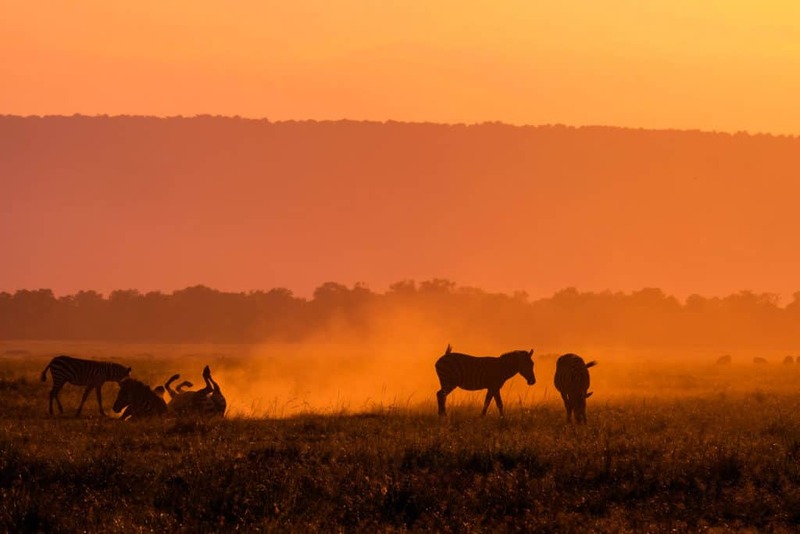 Safari lodges and vehicles are constantly fighting the elements of dust, dirt, humidity, heat, wind, rain, and even wild animals. Although, it’s unlikely your camera will have to survive an elephant the environment should be a consideration. Professional cameras are built to be weatherproof meaning they can handle the dust, dirt, and rain directly on the camera. I’ve personally carried my Canon camera through rainstorms without fear of it being ruined. There are also a number of cameras that are purpose-built to hold up to the elements. How does the camera feel in your hands? Are you going to drop it? Is it heavy? Or does it feel like an extension of your arms and eyes? 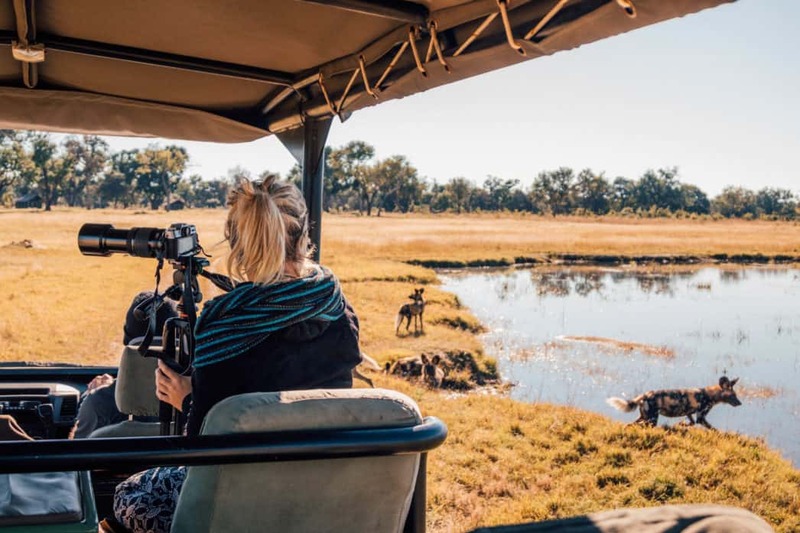 A camera with a solid grip is a life saver when shooting photos while walking in the bush, from a moving boat, or the game viewer. This is my first safari camera. I spent some time deliberating what camera would be best for me and I couldn’t be happier. The camera has a number of strong suits that make it exceptional for a safari camera. It’s weatherproof meaning those dusty roads and African thunderstorms won’t take your camera by surprise. 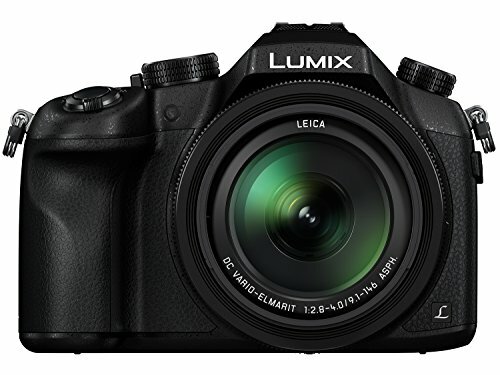 It has a cropped sensor that still shoots 24mp stills with a high dynamic range. The cropped sensor gives a greater focal length, combined with a high processing power of the latest Canon cameras means it shoots rock star photos. Also, as an EF mount Canon, it comes with a massive selection of lenses to put on the camera. With a vast selection of quality and price points. The camera has WiFi connection so users can shoot from their phone. A sweet flip screen great for low angle ground shots and shooting video. The touchscreen LCD makes live video focusing and tracking a breeze. It’s far superior in my opinion to the 7D mkii that is now three years old and needs an update! So, it’s arguably one of the best cameras for safari on the market. 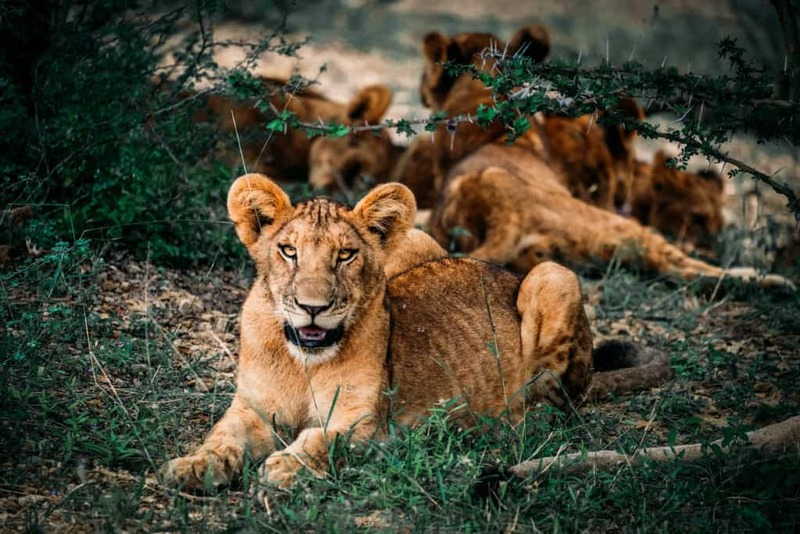 When it comes to value the Sony A7 III is the best safari camera you can buy at the moment. 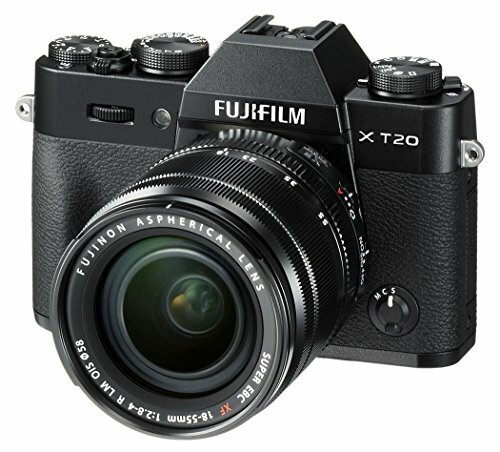 While, it sits comfortably in the prosumer price point, around $2,000 for the camera body. This is our latest camera and we’re very excited to get our hands on it. However, it is currently on back order so it will be a month or two until we provide an update on the quality of the camera. Those lucky enough to have Sony’s latest and greatest have given it glowing reviews, many referring to it as the best camera ever for the price point. Its sensor technology, focusing speeds, and dynamic range are incredible — plus it’s cheaper than any of its competitors. This is a bridge camera. It means that it fills the gap between the old school point and shoot cameras and the DSLR. A bridge camera has a fixed lens with an optical and digital zoom. It offers the simplicity of a point and shoots with superior image quality. For the price point, it’s a hard camera to compete with! The advantages of this camera include a larger sensor than most bridge cameras and it shoots 4k video. While the lens is not interchangeable it has a wide range from 25mm to 400mm. The sensor is larger than most of its competitors at almost 1″ which means it is one of the best in a bridge camera. The camera body is a nice build and will feel natural in your hands. If you’re looking for a straightforward camera that will be easy to use as a novice photographer then this camera is the best pick. This is Tasha’s camera and she has loved it after upgrading from her clunky DSLR. The camera is super stylish and looks great. If you’re looking for a camera that matches your chic safari clothes this is the one. It has a retro feel with dials, a popup flash, and metal body. Fuji’s sensor has some of the best jpegs out of the camera I have seen. It has an excellent color representation and photos require little editing, which is perfect for those who just want a great overall camera. In fact, I might say it’s the perfect travel blogging camera where the image is important, but so is time. The camera also has the latest bells and whistles with wifi, tracking autofocus, and even cool effects like film simulation modes that emulate old cameras. This combined with a lightweight build that is slim, ergonomic, and fun makes it a real stand out in the world of mirrorless cameras. The only drawback on the camera for safari is the fact is the limited lens offering. They have some wonderful lenses with great build quality. 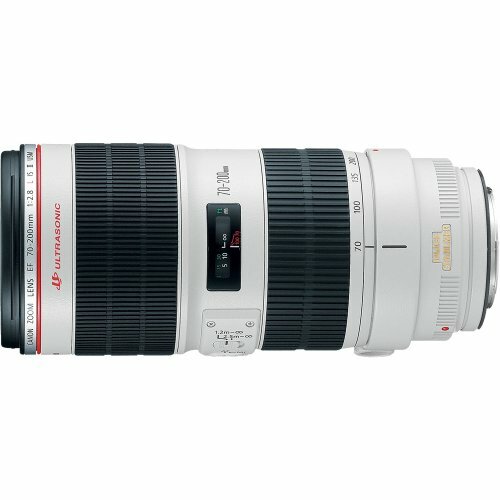 However, the only long lens on the market currently is the 100-400mmthat has a high price tag. For coming in under $500 this is one of the best cameras. It has a quick auto focus with both stills and video. It has a great face detection program that is effective at finding and tracking. 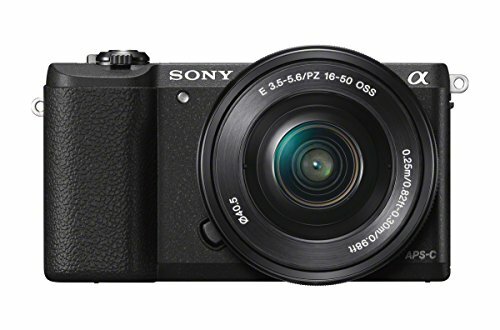 Sony is quickly emerging as a force to be reckoned with in the photography world, with it’s class leading A7II. It should be no surprise that they have also brought some exciting cameras to the consumer market as well. The 5100 offers interchangeable lenses which are helpful when shooting in various safari environments. It’s super compact size also makes it a rockstar to hold in your hand. 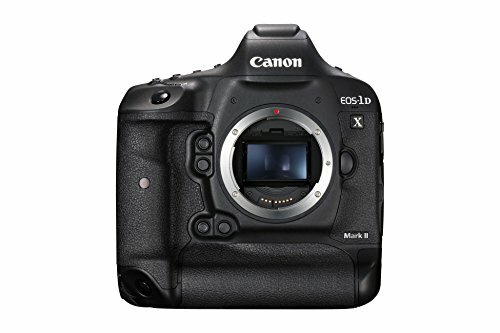 The Canon 1D X MkII is the flagship DSLR of Canon and it’s a mighty camera. To put it simply the camera is the toughest, fastest, most versatile, and greatest image quality camera ever made. The full frame camera is a monster capable of shooting RAW images at 14 fps a second. If you want to know what the guys from National Geographic are carrying these days it’s the Canon 1D X MkII. In fact, I just ordered one for my latest camera and could not be more pleased. The rear LCD is super bright so you can view your photos in the hot Africa sun. Plus the screen features a wonderful touch screen for adjusting settings, adjusting the focus on video, and swiping through your pictures. Speaking of the video the 1D X Mkii can shoot 4k at 60fps and 1080 at 120fps. That way you can catch high definition images in super smooth slow motion. There is one negative to Canon’s flagship camera, and that is the high price tag at over $5,000 for the camera body. So, when you add in the cost of lenses you’re looking at a hefty investment. However, for the price you get one heck of a safari camera prepared to handle the bush and produce top quality images. A similar focal length lens from Canon or Nikon will cost several times more, some even $15,000. The value of this lens is unreal and they produce it for both Canon and Nikon shooters. This is the second most popular lens Canon has ever made. The Canon EF 70-200mm is an amazing telephoto zoom that is loved for its image. 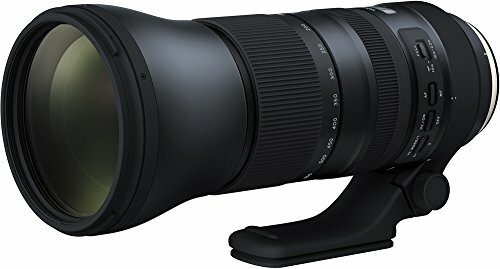 There is a wide range of models, but I would recommend looking for more recent additions that have image stabilization. Just about every working professional has carried this lens at some point or still packs it in their bag. There are a number of camera accessories that we recommend you carry for your safari. None of these things are must have, but they’ll help you produce better results. This is one of the best tools you can pack in your bag. It’s pretty essential for getting a stable shot with long lens and can allow for you capture compelling images with long exposures. If you’re interested in landscape photography I can’t recommend a tripod enough. Some of our favorite safari photos wouldn’t have been possible without this piece of safari camera gear. If you’re making the investment into some nice safari camera gear I’d really suggest picking up a lens filter set. 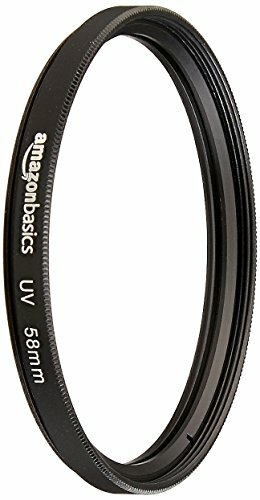 At the very least you should place a UV filter on your lens. A UV filter is a clear piece of glass designed to protect your lens, this will ensure that dust doesn’t cause a permanent scratch on your lens. You can replace a filter much easier than a lens. This is particularly important for zoom lens since the magnification will make lens imperfections more noticeable. To get the right size look at the thread size on your camera lens. If you’re having a tough time try reaching out to support or shoot Cameron an email. If you’ve seen much of our blog or followed us for a while you’ll know we made a series videos with a drone throughout Africa. I’ve flown in every country in Africa including around wild animals. There are a couple things to take note of! First, you should know that drones in National Parks are a big no-no. With that being said, I have flown a handful of times with the permission of a park ranger in our presence. 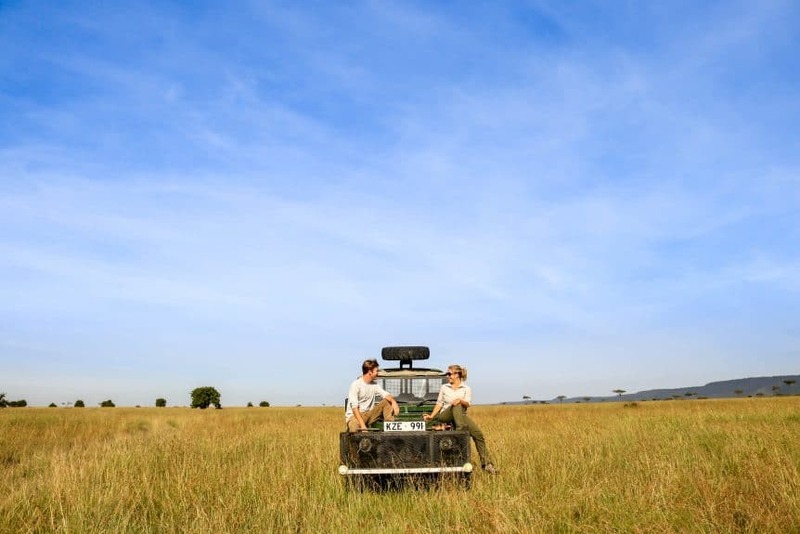 If you have plans to fly on your safari be sure to ask your guide or lodge manager first. Private reserves have a lot leniency (except Selous) than the National Park Systems. Also, keep in mind that the drone stresses a lot of animals out, particularly elephants. The latest drone from DJI is by far the most compact. As travelers when we saw the release we got super excited and now carry it with us on our travels. It fits in the palm of your hand and takes up minimal space. The drone is capable of flying at speeds up to 43mph and it films in 4K. I also love the wide range of flights modes that the camera offers such as programmed flight paths and follow features. It’s amazing how fast DJI has progressed the drone market. You can not beat the size and convenience of this drone! This the camera setup that I now carry on safari. 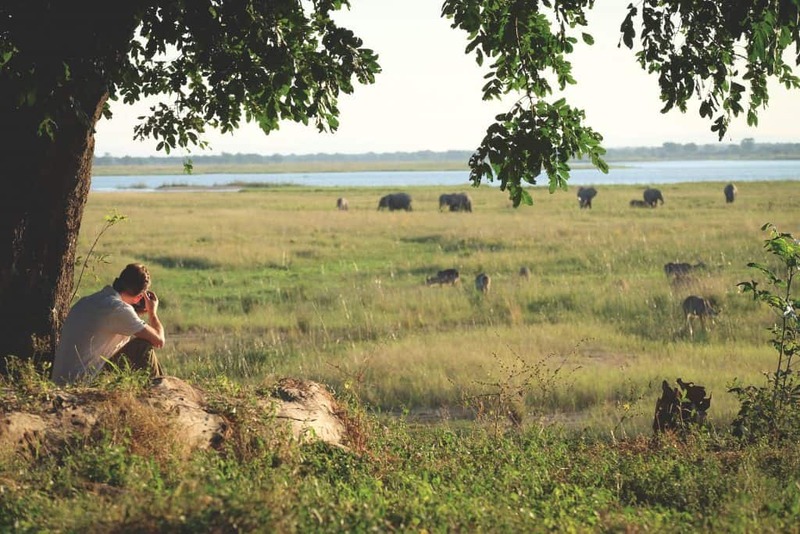 The photo above was in Mana Pools National Park, one of our favorites! 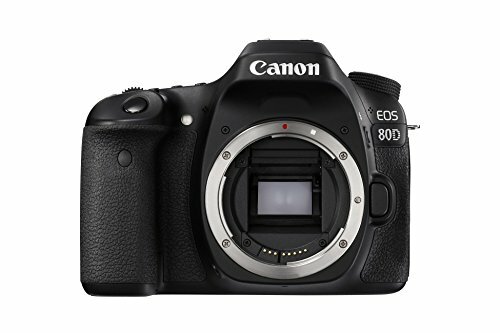 Canon 80D: For wildlife shots. I love the durability, video, and cropped APS-C sensor. 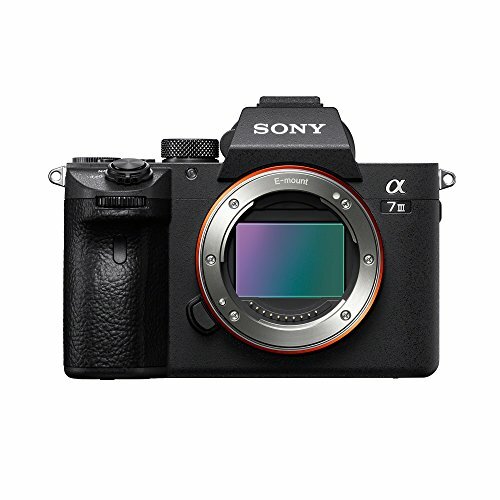 Sony A7 III: Latest camera addition. Amazing for image quality and landscapes. Canon 24 -105 L Lens: This is possibly the greatest lens ever made, and beloved by photographers for its versatility. Sony 24 -70 G Master Lens: This one covers all the basics on our A7III. 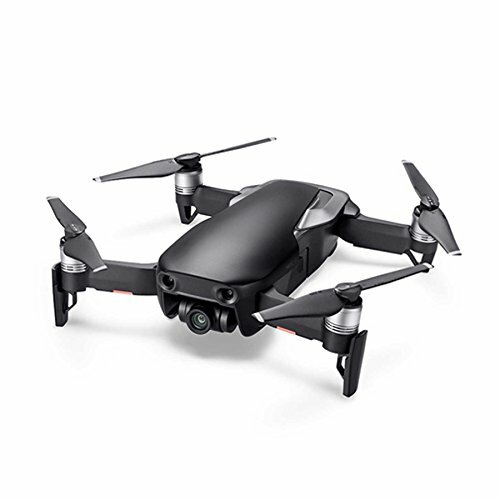 Mavic Air: We’ve had the Mavic Pro and Phantom, but the size of the Mavic Air is amazing! Tripod: Every serious photographer carries a tripod for a stable shot and long exposures. 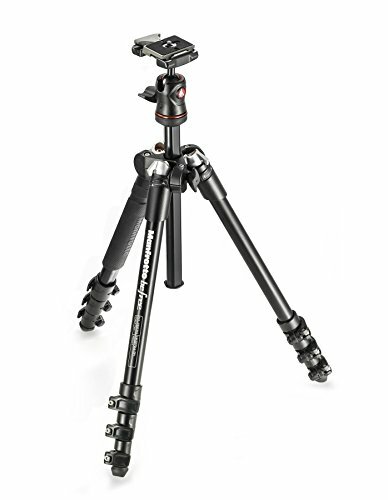 Joby: I love this bendable and lightweight tripod. GoPro: Not really any use on a traditional safari, but always fun on the beaches of Zanzibar! Or, you can just get a drone like we did!